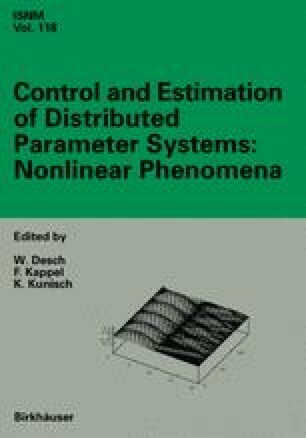 The adaptive (on-line) estimation of parameters for a class of nonlinear distributed parameter systems is considered. A combined state and parameter estimator is constructed as an initial value problem for an infinite dimensional evolution equation. State convergence is established via a Lyapunov-like estimate. The finite dimensional notion of persistence of excitation is extended to the infinite dimensional case and used to establish parameter convergence. A finite dimensional approximation theory is presented and a convergence result is proven. An example involving the identification of a nonlinear heat equation is discussed and results of a numerical study are presented.